Unlike short term travel medical insurance, Long-Term International Health Insurance is better suited for everyday life abroad. Expatriate medical insurance is true international major-medical and term life insurance for individuals and families. It’s long-term, renewable, and can provide health care benefits during extended periods of stay of citizens outside their home country for 1 year and more. Certain plans will even offer you coverage within your home country as well. Plans designed around expatriates typically cover maternity, pre-existing conditions (with a waiting period), preventive and dental care, along with other benefits. 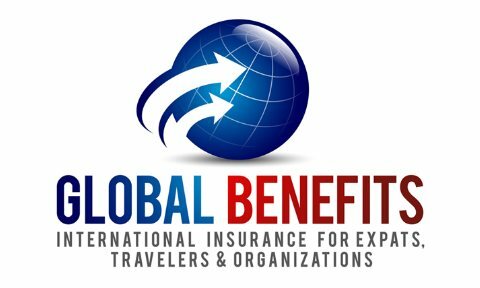 Although short-term travel medical insurance can cover sudden illnesses and injuries overseas, expatriate medical insurance provides renewable, international health coverage to those living abroad. While living abroad, it’s important to be prepared not only for the big stuff, but also the little stuff that pops up day to day. * USA health insurance plans that provide “customary and reasonable” hospital costs abroad may not pay for your medical evacuation to the nearest qualified hospital. A medical evacuation is an essential part of the coverage needed overseas, as it can easily cost $50,000 to $100,000. * Many foreign doctors and hospitals require payment in cash prior to providing service or treatment. * Payment of hospital and other medical expenses abroad is the responsibility of the traveler with many domestic and international health insurance plans. Consequently, it’s important to find an insurance provider that works directly with medical care providers for claims filing and payments. * Uninsured patients may be refused service in overseas hospitals and facilities. * Do not assume that moving to a country with national health (a/k/a "socialized medicine") means the standards and level of care received are the same as you may have at home. * Some countries require non-citizens to carry accident insurance or travel insurance. Therefore, purchasing a comprehensive expatriate health insurance plan instead of both domestic insurance and basic travel insurance is likely a more affordable option.